Akin to Pokémon Yellow's existence to Pokémon Red and Blue, Pokémon Crystal is the next critter-catching adventure to round-off a generation of main series, handheld Pokémon games – that being Pokémon Gold and Silver. But what could Crystal do to top what Yellow did so magnificently to stand out from a preceding duo of titles? 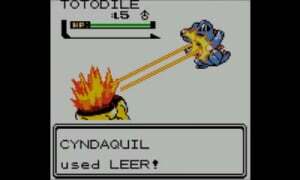 Well, thanks to it following suit to its predecessors, Pokémon Crystal is now available to both explore and rediscover on Nintendo 3DS family of systems via the Virtual Console. Before we get started, those unfamiliar with what Gold and Silver brought to the table initially can read our review of them here, as naturally, this review will focus on how Crystal evolved its current generation of Pokémon games that much further. Right off the bat, Crystal presents those familiar with Gold and Silver with a variety of new tweaks and features. For starters, you can choose whether they wish to be a male or female Pokémon Trainer for your journey – a first for the franchise back then. Also, every time you enter a town, city, or area of significance, a wooden board is presented at the bottom of the screen containing its name. It’s nothing to scream and shout about, but certainly an appreciated tweak from a UI standpoint compared to the title’s prequels. It’s easy to get lost in the large world that this generation of games has to offer. Additionally – and arguably one of the best things Crystal has going for it – each Pokémon sprite possesses its own animation when encountered. This alone really makes filling up the Pokédex worthwhile, for witnessing the detail and character the developers have poured into each monster’s animation is a joyous payoff. Many Pokémon overworld sprites have been updated too, instead of the typical generic pixelated entity that categorises each Pokémon in groups (for example bipedal, bird, and fish). Retrospectively, features such as these may not seem so impressive due to what we’re used to now with modern Pokémon outings, but for an 8-bit adventure, these were certainly welcome additions to the respective era and still hold well today on Nintendo's latest family of handheld systems. As for the game’s poster boy, Legendary Pokémon Suicune is the main star of the show with its own unique story. No, it doesn’t follow you around in the way that Pikachu does in Pokémon Yellow, but actually quite the opposite – you follow it (or accidentally finds it) throughout your adventure in various locations. Without getting into spoiler territory, once the three Legendary beasts have been encountered for the first time, Suicune doesn’t play ball with its four-legged brethren, Entei and Raikou, in roaming the world of Johto – a stark difference to Gold and Silver. Instead, it takes its own path, and along the events of this story, you will meet with newcomer Eusine – an enthusiastic researcher and expert in the field of the Legendary beasts – who claims to have been chasing Suicune for 10 years. The story is an excellent contribution to what Pokémon Gold, Silver, and Crystal do so well; creating awe and wonder about the world of Pokémon and around the intriguing creatures that inhabit said world. Speaking of story, the Ruins Of Alph – a mysterious area that concerns itself with the Pokémon known as Unown – has a new subplot to that of Gold and Silver, enabling you to find out more about the alphabetically-shaped Pokémon's background. The area also contains more puzzles than it did in Gold and Silver. 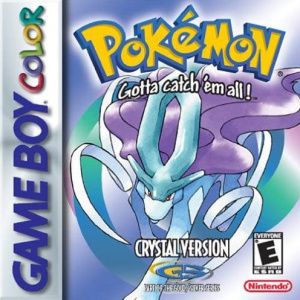 Pokémon Crystal also contains a few neat changes that may go unnoticed, for example certain Legendary Pokémon only becoming available after specific criteria are met, more than one of each Elemental Stone being obtainable, updated Pokémon movesets via breeding and levelling up, new in-game trades, and Trainers who call your phone after battling now have distinct personalities. 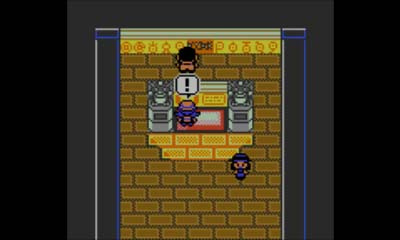 More notably, however, are the debuts of the Move Tutor and the Battle Tower – both of which have become staples of modern Pokémon games. The former is an invaluable asset when it comes to team building, and the latter is an excellent intra and postgame challenge. 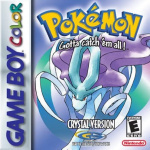 When it comes to major platform differences, Pokémon Crystal benefits in the same way its Red, Blue, Yellow, Gold, and Silver 3DS Virtual Console counterparts do, with access to wireless communication features that allow for trading and battling, as well as compatibility with Pokémon Bank. 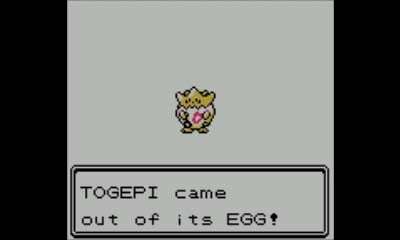 You can also trade certain Pokémon between Generations I and II using the game’s Time Capsule function, available at Pokémon Centers. Moving on, those familiar with Gold, Silver, and Crystal will know that Mythical Pokémon Celebi (Generation II’s answer to Generation I’s Mew) was next to impossible to add to your Pokédex, for back then it could only be obtained using a special accessory or at a special event nowhere near your home. Thankfully, this re-release grants you the opportunity to catch your very own Celebi in an event after completing the main quest. 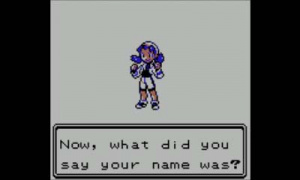 All in all, Pokémon Crystal is the perfect swan song to what many fans consider the best generation of Pokémon games. Nostalgia hat aside, the 3DS Virtual Console re-release is the perfect opportunity to both those who have yet to experience its timeless, era-defining magic, and those who are looking for an excuse to replay arguably one of the best Pokémon entries in the series’ illustrious history. With a plethora of welcomed new features, more things to do, improved graphics and UI, a slight notch in the challenge department, and the implementation of the 3DS' new capabilities that generally make Pokémon games that much more accessible and enjoyable, Pokémon Crystal takes what Pokémon Gold and Silver did so marvellously and proves that Johto is worth exploring once more – and Kanto for the umpteenth time for that matter! It truly proves that nostalgia is far from the sole factor that makes this game so great to pick up again on the Nintendo 3DS family of systems. I still believe that to be the best pokemon game. It had oriental mystery and charm, which modern pokemon games do not use. They try to model places after European or American locations and frankly, seem shallower for that (at least for me). Never owned this one so I will definitely pick this up. I have Silver on the original cart and HeartGold for DS so this is perfect. EDIT: Scratch that; I just saw mention of it in the review. Should’ve read it before I asked. I think this is basically the only Pokémon game I ever lost. Pokémon Gold all the way! Never played this one, so I'll be picking this bad boy up! Pokémon Gold is one of my favorite games of all time but I'm not sure if I ever played Crystal far enough to battle against Red. I'd like to think I beat the Pokémon League and stopped after that. I wish it came out a bit sooner, I have hard time finding time to play anything on my 3DS (other than Shuffle) even though I want to. I also kind of want to wait for the next full-sized Direct to see if they have Virtual Console planned and Game Boy games are part of it. I'll buy it on my 3DS otherwise. Nice of Nintendo to offer something awesome on my Birthday. Better than 30% discounts on Wii U and 3DS games, most of which I have, and 300 Platinum Points. Not gonna lie, I was looking forward to seeing a new wallpaper in my email, not points I'll never spend. Crystal is probably one of my favorite enhanced versions, only being kicked out of the top spot by my love of Pokemon Platinum (I'm not counting BW2 since they're technically sequels). While it isn't perfect, it made enough changes that I consider it a worthy purchase. Also, as I've posted before: Kris > Lyra. So they did no effort to give us the online options that the Japanese version of this game had? How pathetic. I'd pick this up on Switch if they released it there. But if I want to play it on an antique, I would just play my original copy. It's cool that they are re-releasing it, but they are way too late for this to really interest me on 3DS. Nice for people who don't still have their original or who never played it back in the day, but otherwise, meh. This is one of my favourite Pokemon games, so it goes without question that I'm picking this up. A great game indeed. Though BW2 is still a better game to start on Pokemon, you can't go wrong with Generation 2. Still my favorite Pokemon game! Already have Gold and SoulSilver but it’s great to see that every Pokémon game (besides Gen 3) is available on 3DS! @riChchestM and does it work? Completely forgot this was coming. Hands down my favourite Pokémon game, and in my opinion a high point that the series has failed to match since. I might have to borrow the wife's 3ds and relive the old glory days. Forgot this was coming to 3DS, I’ll snag this up. Enjoyed this game back in the day. @Shambo Yes it works. I now have all three starters. @KayFiOS Happy birthday! Got any birthday plans for today? I'm very happy to finally have this game re-released. This was my first pokemon game and as a result I have a very soft spot for this game. I knew it would score a 9. Why did I even bother reading this review? Loved the nostalgia of blue, but the old games are too clunky nowadays (single use tms etc) that make them a chore to play for me now. @riChchestM Just use Pokebank to get all three starters in all games. @Redax TMs are one-use but HMs can be deleted. The Move Deleter is in Blackthorn City, the final town in the main quest. Would buy Pokémon compilation set on Switch. I can't help but laugh when people complain about this being on 3ds because that system is so old and they don't want to play it anymore. Did those same people abandon other things because they have aged that much too, such as their car, refrigerator, or spouse perhaps? I hope they realize that no matter what system they play this on, the game itself is still almost 20 years old too. 😂That aside, I think this game looks like it will be a blast to play, not only because I always considered Pokémon SoulSilver to be my favorite Pokémon game of all but also because these classic games are always fun since they focused more on solid gameplay than trying to have the fanciest graphics. Keep these classics coming, Nintendo! Not nostalgic for gsc at all. hgss is better in every way. @Jeronan Pokebank does not transfer into these titles. You can take them out, but not put them in. @Proust Yeah, I guess you can have too much of a good thing. @Kiyata You laugh, but many people DO get a new car, fridge, and spouse every couple of years, sooooo. @Redax : Unlimited use TMs weren't introduced until Generation V (so, Black and White onward). In every other game prior, they are one-time use only. The Gen II originals are still great for those aware of their limitations (such as the lack of Fairy typing, lack of physical/special split, one-time use TMs, lack of evolutions introduced in Gen IV, needing to manually switch boxes etc. ), but I would not recommend them at all to anybody who were introduced to the series via a later game in the series (HG/SS still holds up quite well for newcomers to the series who wish to experience Johto). While the warm and fuzzy feeling that I had playing these games back in the day isn't quite there anymore, I'm still enjoying playing through this (alongside Silver) again and I'm glad to finally (officially) own every main series Pokémon game in one form or another (the only ones I don't own at all are Ruby and Sapphire which I wouldn't bother with as I have Emerald and the remakes have them bested anyway). It's a Pokemon game, no surprise it's 9/10. Gonna pass on this because I don't really use my 2DS XL as much as I should and I don't like Pokemon. I have all the originals. Boxes, manuals and all. Their batteries are drained tho and I should get new ones. I used to play the crap out of gold with my gameboy. I finished silver and this one too, but I think this is the one I could see myself buying again. @Don I imagine so. There are no more mainline Pokémon games on any system that’s part of the 3DS’s Virtual Console. Barring introducing GBA games on the 3DS (not happening at this point) there are no more mainline games left to release. Pokemon gen IV are the last games in the series that had that traditional Pokemon feel to it, when they moved on to 5th gen the feeling for me had changed too much. I've actually not played this to completion and in more than 13 years so i'll have to pick this up. 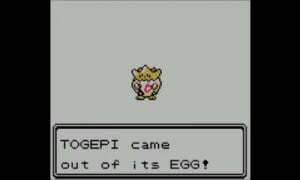 We're getting to a generation where Mythical Pokemon will soon be just paid DLC. .....BUT NOW... I may. I’ve been wanting to play my 3DS pretty badly so this will probably kick me in the buttocks to do so. Also I’ve never played this one so I’m pretty excited. I played red > yellow > black > alpha sapphire and all going forward from there so... I pretty much missed out on this whole gen.
Not really worth picking this up for me. I still have the original and loved immensely it as a kid. But it doesn't do anything that HG/SS don't do better. On the Switch it would be a different story, but my 3DS is all but retired for now. Still keeping it for the occasional Streetpass, and Pokemon Bank until it comes to the Switch. But once that happens the 3DS will be put in the closet until it's old enough to feel nostalgic, rather than obsolete. I couldn’t resist.. I already own Silver and Heartgold. Now I’m playing through gen 2 once again on 3DS, and it’s still fun! @LegendOfPokemon Gen 3 is on 3DS: Omega Ruby/Alpha Sapphire! Crystal was one of the only Pokemon games I never played and it seems worth it for the new story, new Ruins puzzles, animations, battle tower, and so on. A great excuse to replay Gen II rather than replaying Silver or HeartGold. I really want to transfer Pokemon in the Aprikorn balls to my Ultra Sun version if only for the animations (also Friend Balls give you free friendship to make those friendship evolutions happen quickly). @sillygostly There technically still is a physical/special split, with moves being categorically determined based on their type. Not quite the same as it being move-specific, but it's still there in some shape or form. @LastKong I've never wanted to dislike a comment more. . .
@The__Goomba What? I can’t have diffrent opinion on a childrens GAME?